You would never know there is no hockey going on judging by the amount of chatter and activity around the NHL these days. In this edition of Eight From 80 Feet, which is essentially eight thoughts on the Flames, we touch on a wide variety of topics. With Glen Gulutzan hired as head coach, he and Brad Treliving have now turned their focus to rounding out the coaching staff and bringing in at least one more person to fill the void left by the departure of associate coach Jacques Cloutier, who was dismissed at the same time as Bob Hartley. If you are not familiar with the name, you're forgiven. But similar to the case with Gulutzan, who was also a relative unknown, dig into Bednar's coaching resume and you find a lot of success in his 13 years behind a hockey bench. 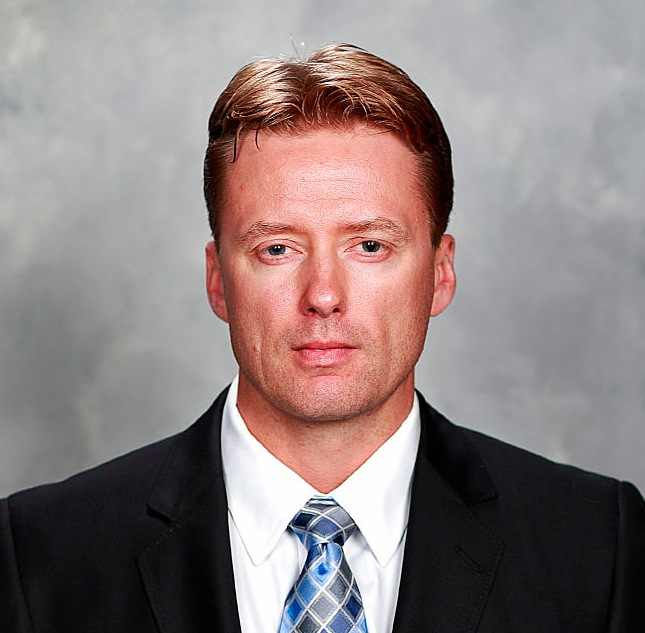 Most recently, he was the coach of the Calder Cup-winning Lake Erie Monsters. In capturing this season's AHL championship, his team went a dominant 15-2 in the post-season. This came after reaching the final the previous year also, although the Columbus Blue Jacket affiliate lost that one. After five years as an ECHL assistant coach in South Carolina, Bednar was promoted to head coach and with James Reimer (named playoff MVP) as his goalie, he promptly went out and won the Kelly Cup in 2008-09, which is the ECHL's championship. 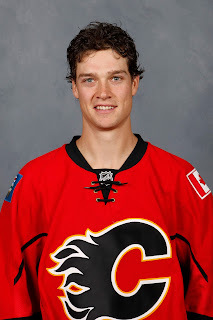 Having proven himself at that level, Bednar went to the AHL, where interestingly he was part of the Flames organization as an assistant to Jim Playfair in 2009-10 in Abbotsford. Mikael Backlund was on that Heat team in his first year of pro hockey in North America. There are also other traits Bednar has in common with Gulutzan and Treliving. 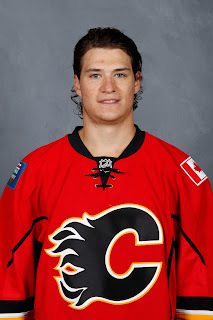 Like the other two, he is also a western guy, hailing from Yorkton, Saskatchewan. He also played in the WHL as a player, just missing being on the same team as Gulutzan in Saskatoon by one year. At 44, he's around the same age also. Treliving said he had a few candidates in mind for the assistant coach job that he wanted to discuss with Gulutzan so we'll find out soon enough, I'm sure, who they end up going with. But you can see why the Flames are likely one of the the reportedly many NHL teams that have asked Columbus for permission to meet with him. It was three years ago at the draft when Canucks GM at the time, Mike Gillis, reportedly passed on better offers from both Edmonton and Calgary to avoid trading Cory Schneider within the division. Instead, he settled for an offer from New Jersey that most importantly sent the young goalie cross-country to the Eastern Conference where it would sting a little bit less if he went on to be a star. Fast forward to today and it would not be a surprise if we one day learn that Ducks GM Bob Murray passed on a better offer from the Flames in keep Frederik Andersen out of the Pacific Division. Examining the price Toronto paid to get the 26-year-old Dane, Calgary had the ammo to top that offer and the motivation to do so. In looking back at this piece from February when I took a comprehensive look at 25 potential goalies (five categories of five) that could be of interest to the Flames, a lot has changed. Of the pending UFAs, cross off No. 5 Cam Ward, who re-signed with Carolina. At the top of the list of veterans stuck behind young goalies, cross off Andersen. Given his cheap salary and importance in the Blues deep playoff run, I'm skeptical if Brian Elliott would actually be available now. Of the AHL starters knocking on the door, one can certainly remove Pittsburgh's Matt Murray from trade consideration. Meanwhile, a name to add as we've talked about plenty lately is Marc-Andre Fleury. While there are some that vehemently oppose the idea of Calgary bringing in the 31-year-old longtime Penguins starting goaltender, these folks likely jaded by his post-season failings in recent years, the thing to keep in mind is this is still a very good goaltender. Fleury did not lose his job in Pittsburgh. What happened was Murray stole it while he was injured and simply never gave it back. Fleury, what they decide to do in Tampa Bay between Ben Bishop -- a year away from being a UFA -- and young star Andrei Vasilevskiy, and pending UFA James Reimer -- who has never played more than 36 NHL games in a season -- are certainly three situations for Flames fans to monitor moving forward. With the cost to acquire varying greatly in each of those scenarios, that will also be a key consideration. In trying to uncover the next Martin Jones, the list of young back-ups ready to start but trapped behind a veteran No. 1, are also names that pack some intrigue for me. These are guys likes Darcy Kuemper, Scott Darling and Calvin Pickard. Stay tuned. We might know the answer as soon as this weekend. Nineteen-year-old Sam Bennett is no more. The 2014 fourth overall pick turned 20 on Monday. Upon his official graduation from being a teenager, time to update the the Calgary Flames all-time teen scoring list. These are regular season goals scored for Calgary before their 20th birthday. If you add in playoff goals, Bennett climbs to fourth on the list. With three in the 2015 post-season, a combined total of 21 would move him one ahead of Robert Reichel and put him one back of Monahan and Iginla, who would be tied with 22. Enjoy your precarious perch in the top 10, Robyn Regehr and Brian Glynn, as Friday night's sixth overall pick could crack this list within the next year or two. Of the many unknowns around the NHL that will be confirmed by the league very soon -- probably this week -- the most important is the team salary cap number for this season. Sounds like the NHL will release the 2016-17 salary cap figure by middle of next week. Talk is around ~$73-million. Inflator not final yet. While Treliving says not knowing the final salary cap isn't necessarily a showstopper and that contract negotiations and roster planning continues, he says it would still be useful to know with certainty what the number will be in 2016-17. Last season, it was $71.4 million. The impetus for asking him this question last week was the Flames long list of RFAs in need of new contracts -- Johnny Gaudreau, Sean Monahan and Joe Colborne the three most notable. "As important as the cap is, you still have in your mind what's reasonable numbers for certain players and where they fit in the marketplace. It doesn't paralyze you in terms of conducting negotiations," said the Flames GM. That said, as the amount of space begins to dwindle as you allot money for goaltenders and any other additions you may be considering, knowing exactly where you're at becomes more crucial. "Ultimately, you only have 'x' amount of money in the pot so you want to know how big your pot is," said Treliving. "For every nickle you draw out, that's a nickel less to spend." He says that what ends up happening is you come up with a Plan A, Plan B and Plan C, depending on what ends up unfolding. "We have different models based on different (salary cap) ranges," explains Treliving. "You also always operate under a glass half-empty scenario because it's far easier to add money later than it is to start whacking." 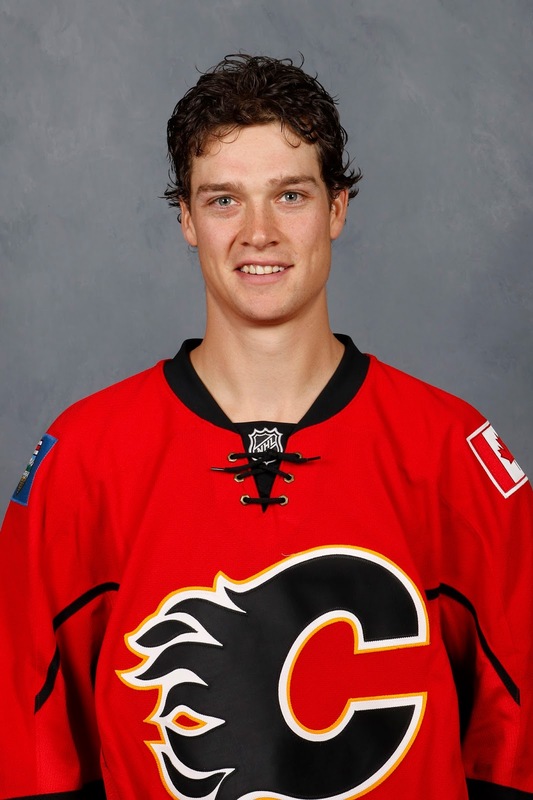 If you had asked me at season's end to name a Flames candidate for a buyout this summer, top of the list would have been Mason Raymond. After spending most of last season in the minors, is there really an appetite to pay him $3.1 million again this season to play in Stockton. However, if the firing of Hartley, with whom there was a clear disconnect, was a stay of execution for Raymond, then the hiring of Gulutzan could very well be a pardon. Listening to Gulutzan talk on Friday at his press conference and the emphasis he is placing on playing a fast game, on having speed throughout his line-up and with the penchant he places on surrounding the team's young players with solid vets, perhaps Raymond isn't a candidate to be bought out by the June 30 deadline after all and he could resurrect his NHL career. There should be space on the roster too with the departures of veterans David Jones and Jiri Hudler. Raymond has one year remaining on a three-year deal that has an annual average value of $3.1 million. When Bob Hartley was hired by the Flames four summers ago, what followed was a worse-case scenario in terms of being a new coach with a new team trying to implement a new system -- a reduced training camp. As you'll recall, that was the year of the lock-out and by the time the owners and players stopped their squabbling and came to an agreement, the result was a reduced 48-game regular season with no preseason games and only a short training camp to get ready for it. The result expectedly was it took longer for the team to adapt. While not nearly to the same degree, Gulutzan will face a similar challenge this year with star players like Gaudreau, Monahan and Michael Frolik both away at the World Cup and thus absent for the first 7-10 days of training camp. With the World Cup running through October 1, it's conceivable none of them will be back in town until there's only two preseason games remaining. For a team that has to start off better this season, last year's poor 2-8-1 start a significant contributing factor to the overall poor season, missing two-thirds of the top line for a big chunk of training camp isn't going to be ideal but at least the three of them should be good-to-go fitness-wise when they do arrive. Maybe they'll also be given some homework to do while absent so they'll arrive in Calgary with the book smarts on what Gulutzan will be asking his forwards to do. With the Flames' fledgling CalgaryNEXT arena project in disarray, the NHL has conveniently booked in Calgary to be the first visiting team to play in the luxurious Rogers Place in Edmonton, which opens this fall. Not only are the Flames the first visiting team to play there in the preseason on September 26, they'll also be the opponent for the Oilers inaugural regular season game in their new digs on October 12. Knowing where Gary Bettman and the NHL stand on this heated debate -- very much in favour of getting a new arena constructed -- the conspiracy theorist in me can't help but wonder if going back to back with Edmonton to open the season isn't a sneaky way to try and sway public opinion in Calgary. There will be a lot of hype gushing out of Northern Alberta about the facility and I suspect some major jealousy from fans in the southern part of the province, who can't help themselves. It is, after all, always a Battle of Alberta when it comes to this stuff and the disparity between the two buildings is something we're going to hear plenty about. While the identity of the goalie tandem that will be in Calgary next season is very much up a mystery still, there's a lot more clarity to how things will look with the Flames two minor league affiliates. With top prospect Jon Gillies completely healed from his hip surgery last year, and ready to resume his development, you can slot him into the AHL. 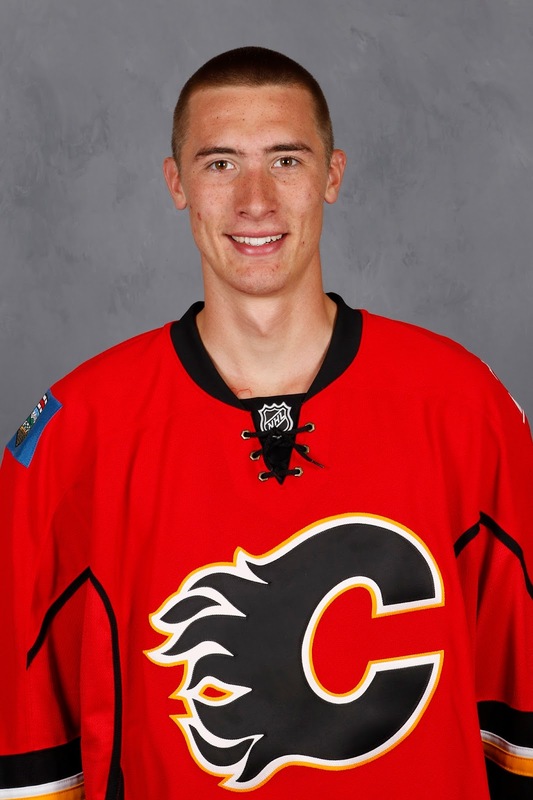 The recent signing of 23-year-old David Rittich to a one-year, two-way deal, gives the Flames another goalie expected to open the season in the minors. 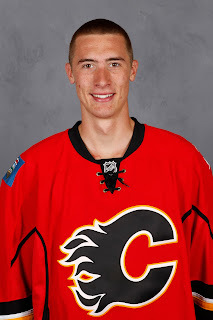 Then there's 20-year-old Mason McDonald, the first goaltender taken in the 2014 draft when Calgary selected him 34th overall. "The good news with Mason is he was on a team (last year) in which he got a lot of work," says Treliving. "It was a good season for him. He took a big step, both in his game and maturity-wise. He got a chance on the international stage again with the World Junior team, which was good for him and another learning experience." Treliving says his expectations, as of today anyway, are that McDonald will turn pro this summer. "We'll see where he is but I would tell you right now as I crystal ball it, we expect him to be playing pro," says Treliving. "But the one thing we want to do, especially with goaltenders, is you want to make sure you have enough nets for everybody. Whether it be in the AHL, or in the ECHL." Rittich backing up Gillies in Stockton (AHL) and McDonald in Adirondack (ECHL) seems like the likely outcome. Perhaps Rittich and McDonald flip-flop at times to make sure the young Czech is getting enough starts. "Lots of good goaltenders have spent time at the ECHL level, it's about giving them reps," says Treliving. "For Mason, whether it's going back (to Charlottetown) for his overage year or whether that's him turning pro, time will tell but right now our plan and our hope is for him to be playing pro next year. That's the next step for him."